Our commercial dumpster rental service is ideal for all types of contractors and construction industry companies utilizing mini dumpsters to ensure a clean, organized, and safe job site. 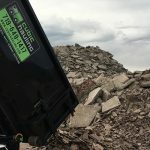 Our small and medium sized dumpsters for commercial projects offer the most efficient, easy, and affordable process for contractors to remove waste from any type of commercial or industrial construction project sites that have space constraints or don’t require a gargantuan 30-40 yard roll-off. 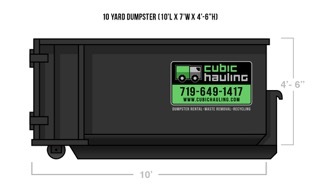 Our commercial dumpster rental service is tailored for contractors to utilize on any type of construction site project. Our well maintained and professionally painted dumpsters, fine trucks, uniformed drivers, and reliable service all reinforce our contractor partners professionalism and customer experience. 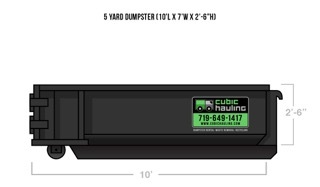 The commercial dumpster rental cost is dependent upon several variables listed below. Please call with details on your project and we can provide an exact quote over the phone. Type of material going into the dumpster. Weight of contents (each dumpster includes 3 tons). Charges for weight above 3 tons is $45/ton. It is a seven day rental. If you require the dumpster longer, we can add days at $5 day. ** Cubic Hauling does not allow more than 1 cubic yard of heavy materials (ie. concrete, rock, dirt, asphalt, lath plaster, etc.). Exceeding container weight limits will result in extra charges. We do offer recycling of certain prohibited items listed above, however, any of these items not previously discussed and discovered at the landfill will incur an additional charge of $85 per item. Any of the above items not previously discussed and discovered at the landfill will incur an additional charge of $85 per item. HOW FULL CAN DUMPSTER BE LOADED? As far as volume, we ask that you fill the dumpster no more than 12″ above the sides of the dumpster. By law, we are required to “contain” each load with a tarp for hauling to the landfill safely. Cubic Hauling cannot pick up a dumpster that is over-full. You will be responsible for ensuring the dumpster is properly loaded. 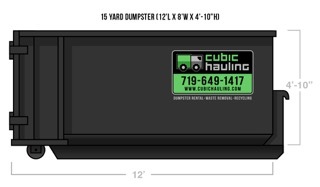 Cubic Hauling may assess a “dry run” fee to recoup costs incurred for not being able to pick up your dumpster. Dumpster Don’t Do. Overloaded dumpster. ARE THERE WEIGHT LIMITS FOR DUMPSTERS? The charge for weight beyond limit specified above is: $45/ton. Please note: Cubic Hauling does not allow more than 1 cubic yard of heavy materials (ie. concrete, rock, dirt, asphalt, lath plaster, etc.). Exceeding container weight limits will result in extra charges. WHAT IS CUBIC HAULING NOT RESPONSIBLE FOR? 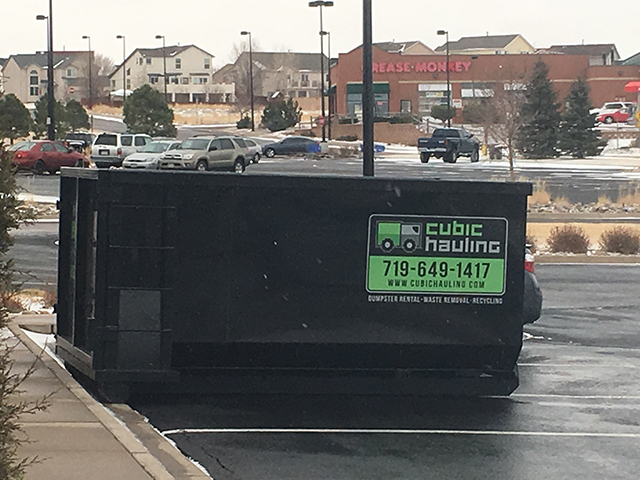 Cubic Hauling is extremely careful when delivering a dumpster to a customer site. Every precaution is taken to make sure we are aware of any underground features such as utility or sewer lines. Cubic Hauling cannot be responsible for UNFORSEEN circumstances under the subgrade. The customer needs to make sure they inform Cubic Hauling of any underground assets in the path to the container before it is delivered. Cubic Hauling uses driveway protection, however, we cannot be responsible for damages to paving surfaces such as asphalt, brick pavers, or concrete. WHAT PERMITS OR WAIVERS ARE REQUIRED FOR DUMPSTER RENTAL? 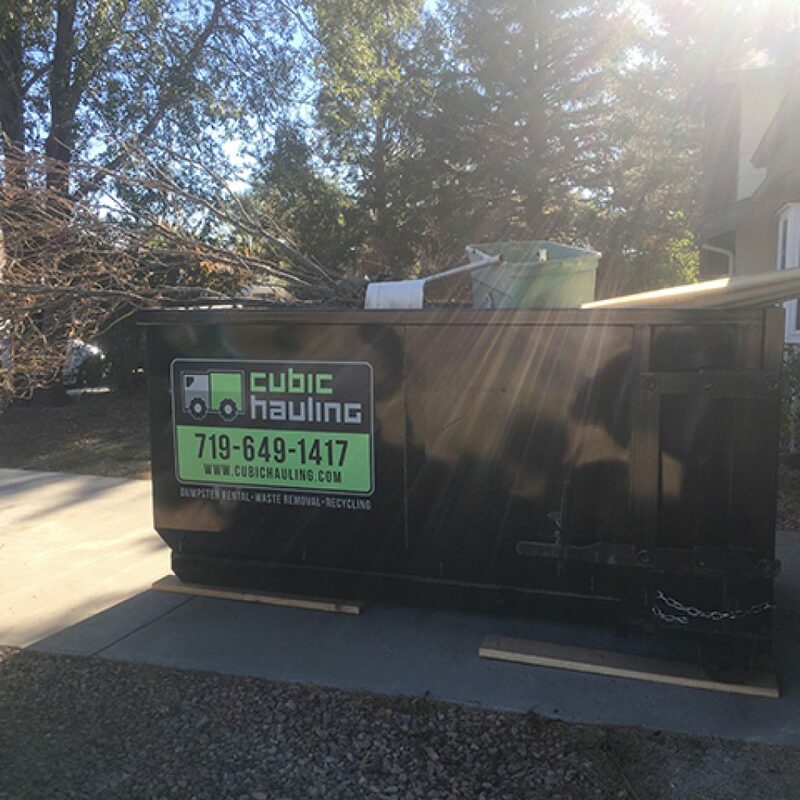 Any required permits or waivers issued by county, local municipality, or state ordinances are the responsibility of the dumpster renter, not Cubic Hauling. 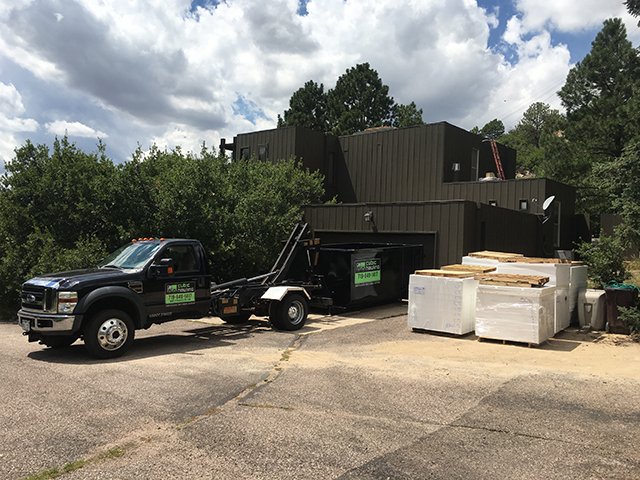 For instance, if you want the dumpster delivered in a city street or right of way, you are required to get a Temporary Revocable Permit – Surface from the City of Colorado Springs, and this can take two to four days for approval. Cubic Hauling will glad to assist you in filing the permit application. Download and print the application for the Temporary Revocable Permit -Surface for Colorado Springs. AM I RESPONSIBLE FOR ANY DAMAGE TO THE DUMPSTER? The customer is responsible for any damage caused to the dumpster while it is under a rental agreement with you. For example, unauthorized moving of a dumpster causing damage, pouring wet paint or other sticky material into the dumpster, paint overspray that defaces or mars the surface and appearance of the dumpster, or using heavy equipment such as a skidsteer to drop heavy loads into the dumpster causing dents in its interior and exterior sheet metal. 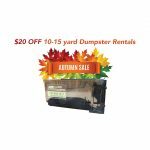 Please treat the dumpster with respect as additional charges could apply for dumpster repair and cleaning. 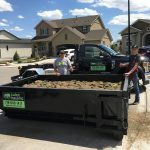 Cubic Hauling offers commercial dumpster rental in Colorado Springs and the surrounding metro areas. We serve commercial & residential customers for construction cleanup, junk removal, hauling, recycling, waste removal, and more. Call today at (719) 649-1417 for a free estimate!